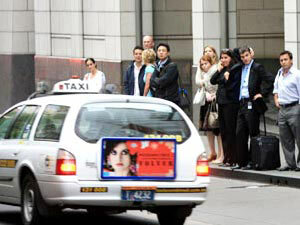 Taxis can be the better alternative to renting a car in Sydney. The city center hosts so many drivers that finding a parking spot can become a journey in itself. Also, the street system can get a bit tricky and at times frustrating with its plenitude of one-way streets. On the other hand, taxis are very easy to spot in the city center and are found parked in most bus spots, hotels, and rail stations. However, it can get a bit pricey if you plan on catching cabs everywhere. For instance, cabs usually start off at A$2.65 and then increase about A$3 per mile.